Here are some questions posed to contestants on a midday television quiz show: What is the name of the Greek runner who ran the first marathon? What is the show that the man who blackmailed David Letterman worked for before he worked for David Letterman, and what company was it owned by? What is the name of the song that has the line “here is my handle/here is my spout?” What animal has an exoskeleton identified with chitin? What famous actor published a book called My Life ? 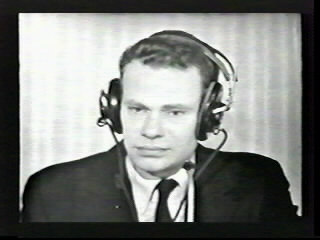 Quiz shows are not what they were back in the days of payola, when a famed Columbia academic named Charles Van Doren appeared on a show called Twenty One (and later confessed to the U.S. Congress that he had been given the answers ahead of time) and masters of ceremonies for other shows on both radio and TV were iconic figures like Eddie Cantor and Jack Paar. The top questions today are likely to be rewarded not with $64,000 (as in the old $64,000 Question) but with $1,000,000, and the stage set for the above-mentioned midday show has a futuristic cast that makes it hard to tell if the cheering audience is a digital creation or real. There is an almost mawkish familiarity between the host, a would-be Simon Cowell who skates on the thin ice between news anchoring and method acting, and his guests, who seem to be chosen for their lack of distinction in anything. There aren’t too many Columbia classics scholars in the bullpen for this 15 minutes of fame. It’s hard to imagine where the contestants for today’s shows come from. The two who appear on this show seem clueless and filled with that hopeless eagerness that compels them to give the old college try and constantly embrace the host. A heavyset platinum blond describes herself as a PhD candidate and walks away with a pittance after getting practically nothing right. The rules of the show are simple. You can take your winnings at any time or you can risk almost everything by going for increasingly bigger stakes. At one point a young man who precedes the blond is nine questions away from the million-dollar question, which may not seem like much unless you don’t know much about anything.